Are you trying to find the best hotel near Manila Airport? Are you going to the Mall of Asia, U.S. Embassy or the PICC and wants to book in a high quality but budget hotel? 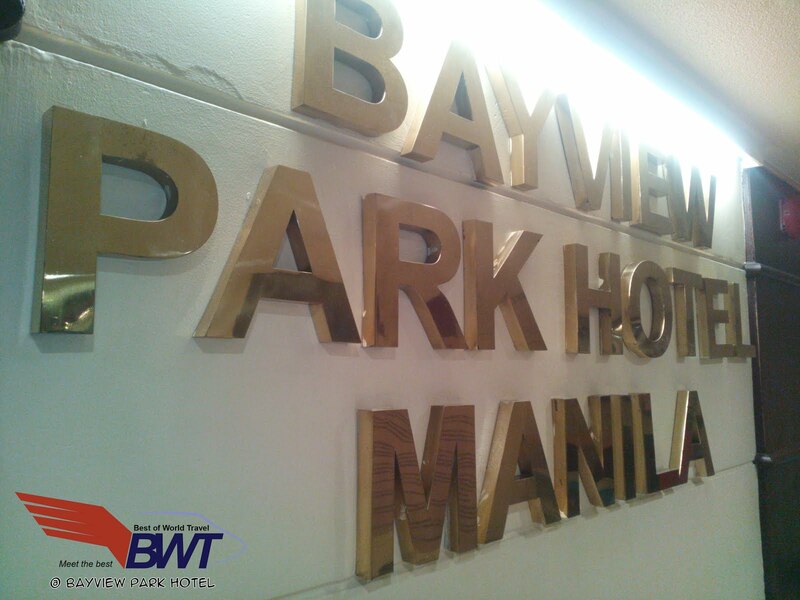 You are in right track because this post is all about our experience in booking at Bayview Park Hotel in Roxas Boulevard Manila, one of the best hotels near Manila Bay! After a few conversations, we decided to book via the TravelBook PH website. An hotel site that allow customers to book online and pay directly in the hotel. It was like a feeling of a “reservation” only. Hassle free, fast and reliable. Upon arriving in the hotel, we saw the beautiful Christmas decorations inside the lobby. The bellmen and other representatives were very accommodating, kind and industrious. They were probably the best crew in the entire hotels near Manila the Airport. The bellmen took our luggage and proceeded to help us check in their hotel. Luckily, the booked Superior Room was upgraded to a Deluxe Room for FREE! Well, well, well, the god of luck was on our side! The Superior Room includes a Queen Sized bed with complimentary breakfast for two. Since the booked room was upgraded to Deluxe, we had two (2) beds all inside the room. There was a hot tub, hot and cold shower, complimentary toiletries, a small fridge, telephone, cable TV and of course an air-conditioning unit, all were working and ready to use! The ambience while inside the room was relaxing with the slight touch of romanticism.If you want to see a very stunning and awe-inspiring view, you can check the windows and you’ll find the Manila Bay. At night, the colorful lights of the metro shines bright in the whole bay view that shows how marvelous it is. Since we booked in one of the ‘ber’ months, the extravagant Christmas lights and Christmas decorations were all over the place. You’ll really feel the aura of Christmas if you will book here in Christmas season. While staying in the lobby, there was a mini restaurant that serves chilled drinks and coffee. The prices might be a little higher compared to other establishment but the good thing here is you’re secured inside their premises. Fast, reliable and efficient. Those three are the best words that I can describe about the WiFi internet of the hotel. After paying the room, the receptionist just gave us a password of their WiFi. I was able to easily connect my laptop and cellphone in their connection. 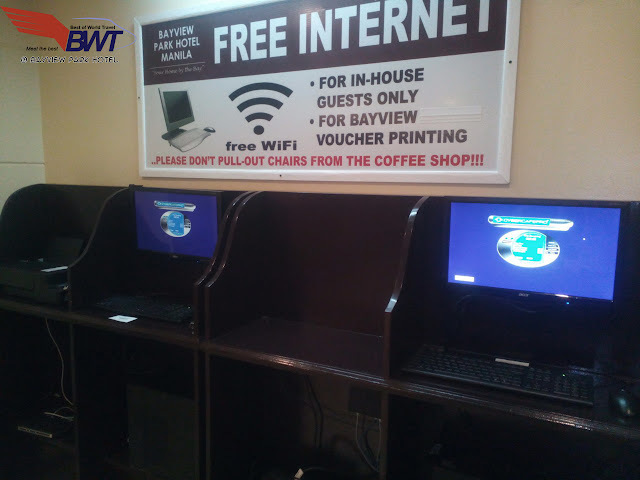 For other guests that needs a physical computer, they also have a couple of computers that can be used for transactions. They are hooked up in a reliable connection ans will surely help you in retrieving documents if you need getting from your online storage. A 600 PHP (or $13 USDas of Dec 2016) is the surcharge payment for transport from their location to the airport, one way. But if you want to return to the hotel after sending off a relative, you will pay a total of 800 PHP or $17 USD. There is a restaurant just in the lobby of the hotel. Guests can get a cup of coffee (around $2 USD per cup), milk shakes, juice and any other food that can be served. Check out the photo of their price list below. 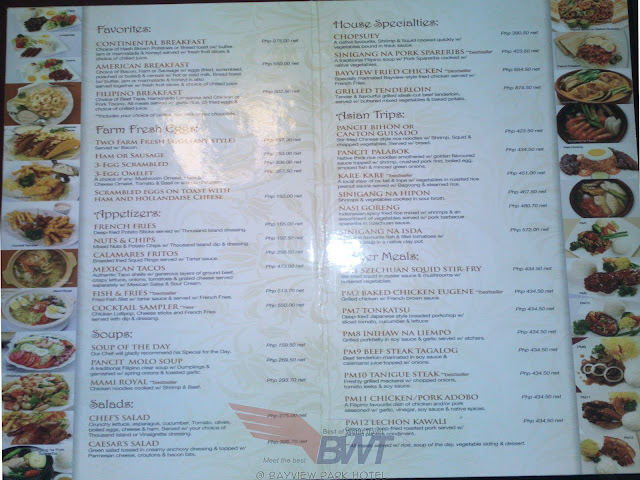 Where to Eat near the Bayview Park Hotel in Roxas Boulevard Manila? 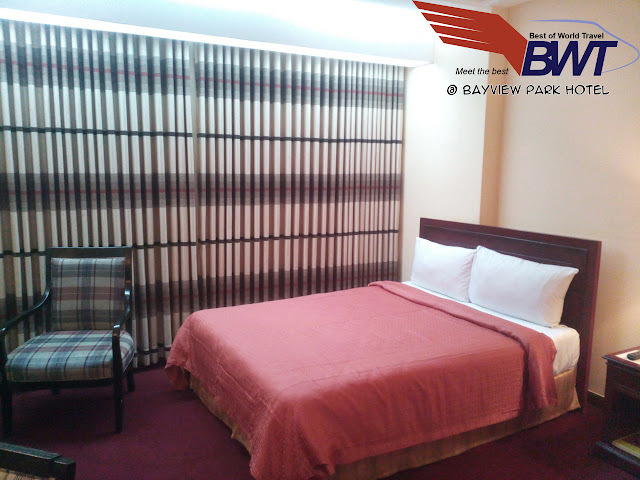 Bayview Park offer rooms with complimentary breakfast, but if you want a little better food to eat, there are a lot of restaurants and cafe just a few walks away from the hotel. First is the Starbucks. The Starbucks cafe is just beside this Manila Hotel’s building. Just a few seconds of walk, you will already reach your favorite coffee shop.You will find many customers there that are also booked in nearby hotels like the Bayview Park, and the Admiral’s Hotel. Mini stop is just at the back of the hotel’s building. Just a few walks away from the Starbucks, you’ll arrive at the Mini Stop’s small store. The problem that I saw in this Mini Stop’s branch was their air-conditioning system. It was too HOT! I felt like I was living in hell when I got inside. I was waiting too long inside because I was waiting for my chicken to be prepared and cooked. A good 30 minutes waiting at a hot Mini Stop is really a bad idea! Why did I not wait outside? Probably because I felt unsafe waiting outside. Well, remember, that. is. Manila! Just in the other block of the street where Starbucks is located lies 7/11. A convenience store where you can find stuffs just like in Mini Stop. I tried to load my cellphone number in their machine, but they said it was offline. Their air-conditioning unit wasn’t good as well, but it was surely better compared to the Mini Stop’s. If you feel like Starbucks is a bit crowded or you don’t really like their products, then you have another option, the J.CO Coffee. Just one block ahead the Starbucks, you’ll find this coffee shop sitting. You’ll find the ambience very cool and relaxing just like other coffee shops in the Philippines. 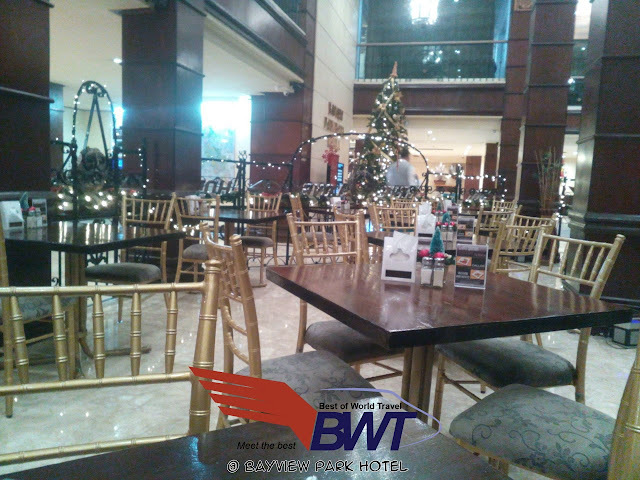 Bayview Park Hotel in Roxas Boulevard Manila is also near a pharmacy. If you got sick, or you need some medicine for your maintenance, then the Mercury Drug Store is just two blocks ahead. It’s a bit far from the site, but you’ll reach it after a five (5) minute walk. I highly suggest to book via the TravelBook PH website, or TravelBook PH app. Their prices are mostly lower compared to other hotel booking agencies. We also booked at the TravelBook’s App and got a massive discount at around 800 PHP ( $16 USD). 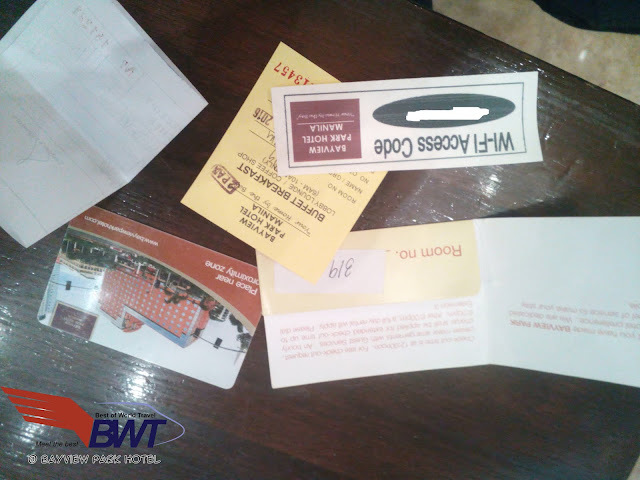 Plus, you can also earn points in TravelBook and use it to get discounts in your next hotel bookings. 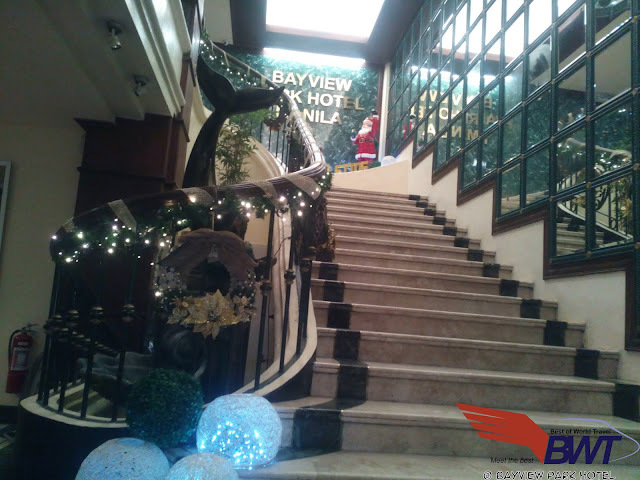 Bayview Park Hotel in Roxas Boulevard is a somewhat high-class hotel along the Manila Bay with room prices just around the budget of a typical traveler. Their customer service are awesome and accommodating. They have several facilities such as swimming pool that kids can enjoy, a gym, restaurant and a conference room. I can give the Bayview Hotel a 4.0 stars rating as they have served as better compared to other hotels that we have booked in.